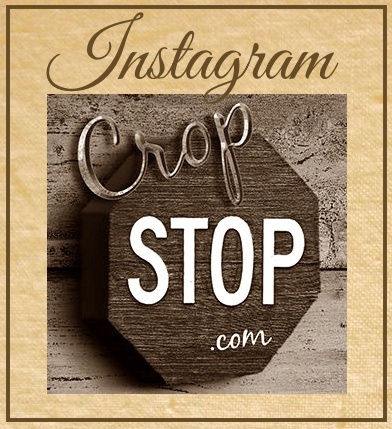 CropStop: We have a new Creative Team Gal! We have a new Creative Team Gal! Elisabeth will be hosting the BossKut Banter with ideas and inspiration from BossKut dies and the Gazelle. All BossKut dies work in the Cuttlebug and the QuicKutz Revolution so there is no excuse! Elisabeth Helsing lives on the east coast of Sweden. She started scrapbooking almost 3 years ago after attending a crop. Before scrapping she was an avid china painter and jewellery maker! Elisabeth loves to make her own embellishments from scratch using whatever she can find. Expect to see plenty of work and ideas with distress inks, crackle paint or chalks as well as ribbons and lace, pearls, UTEE and Alcohol Inks! Let Elisabeth help you to try new things, new techniques and experiment with things you never thought you could do! Welcome Elisabeth it sure is nice to have you here! And of course, we made her do a challenge for us.... so want to see Elisabeth's challenge? Well I can tell you the awesome title of the challenge.... The Soundtrack of My Life (or Our Lives, if it suits better!) you can read more about the challenge on our CropStop's board.